My little flock and I have been frequenting the beach and the bay the last several months. In the rare moments when each child is accounted for and has two feet firmly planted on the sand, I look out on the water and watch the sailboats. From my vantage point, they seem to cut effortlessly through the still water of the bay or the choppy water of the sea. They are beautiful—even breathtaking—to watch. I imagine, however, that if I were aboard these vessels, what appears effortless from the shore would be exposed as hard labor. 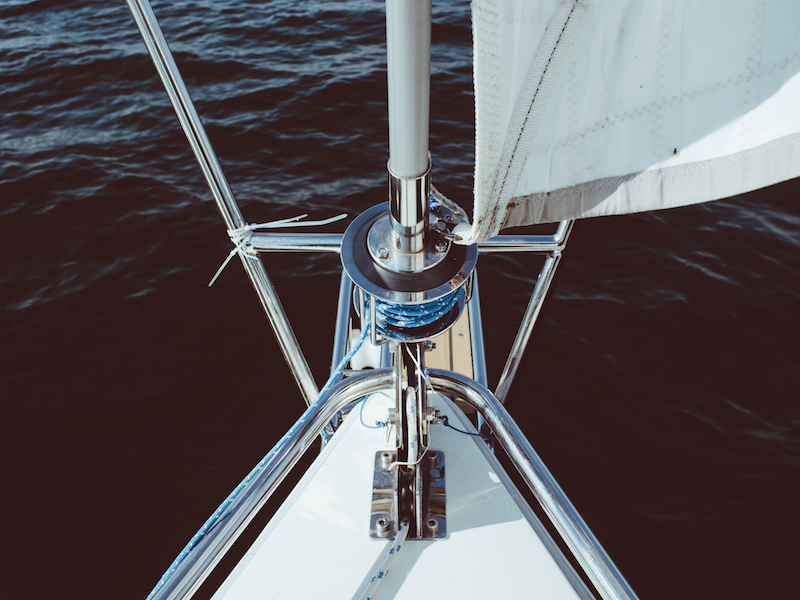 Many of us, myself included, have a deeply ingrained (and often unspoken) presupposition that the Christian life should be easy, like the smooth sailing ships on the sea. While we would never admit it publicly, this erroneous way of thinking is exposed when following God and continuing in spiritual disciplines gets uncomfortable. We love the idea of consistent time alone with God until we have to give up an hour of sleep, or a workout, or a favorite pastime to secure it. We love the notion of life-on-life ministry until we have to minister to a hurting soul or bear the burden of another’s mess during inconvenient times. We love supporting worldwide missions until it cuts into our Starbucks budget or hinders us from keeping up with the Joneses. We love the idea of discipling our children until it requires hard conversations or consistency to the point of altering preferences and schedules. What appears effortless from far off is shown to be incredibly challenging as it gets closer to our hearts and homes. Grace does not mean the Christian life is effortless. Holiness is a “striving to enter in,” as Jesus tells us. Effort is not the opposite of grace; works is. Works has to do with merit or earning, and the effort we are called to undertake has nothing whatever to do with meriting or earning anything. In fact, the classical disciplines—fasting and prayer, for example—have no virtue or merit whatsoever in and of themselves. They merely place us before God in such a way that he can begin building the kingdom-righteousness within us. Notice that they aren’t to work to become the beloved. They are the beloved. There is nothing to earn, as the position of God’s children and the power of his Spirit are theirs already through union with his Son. But Paul commands them using a word that is an intensified verb from the Greek word ergon, meaning labor, toil or work. Energeo (from which we get the word “energy”), the verb Paul uses regarding God’s work in us, derives from that same root word. Yet this verb has a slight but significantly different range of meaning that puts the emphasis on energizing, effecting, putting forth effectual power. Essentially, Paul tells the Philippians to work out—to actualize—that which God has already worked into them by grace through faith. We are able to work, to exert effort, because he has already worked into us power. Effort must be exerted if we take seriously the call to become like Christ. We have a vital part to play. Through disciplines of grace, we posture ourselves as those who abide in the vine and derive needed strength to accomplish what is impossible in the flesh. Every day, we must set our boats on the water and send up our sails. Some days this work will seem effortless. Other days, though, just getting the boat from the dry dock to the water will require mammoth amounts of sweat. Hoisting up sails in a blistering wind or trying to stay afloat in a choppy sea will require resolve. Yet the reward of more of Jesus—both in us and through us—is well worth the effort. And grace is not opposed to effort.